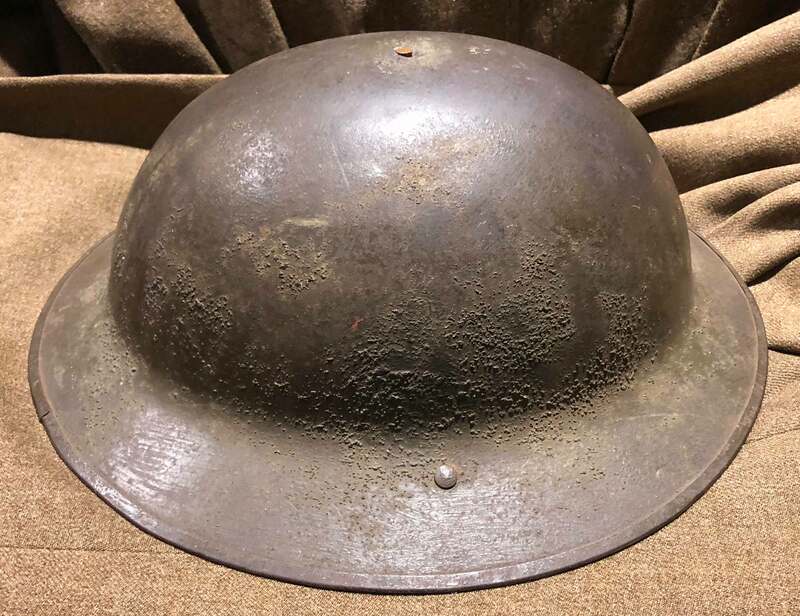 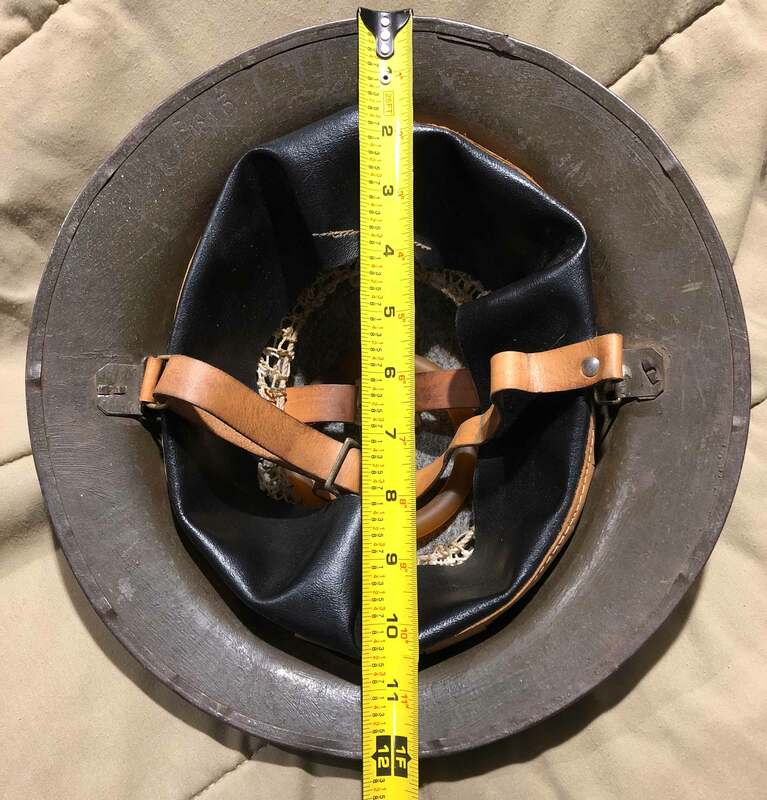 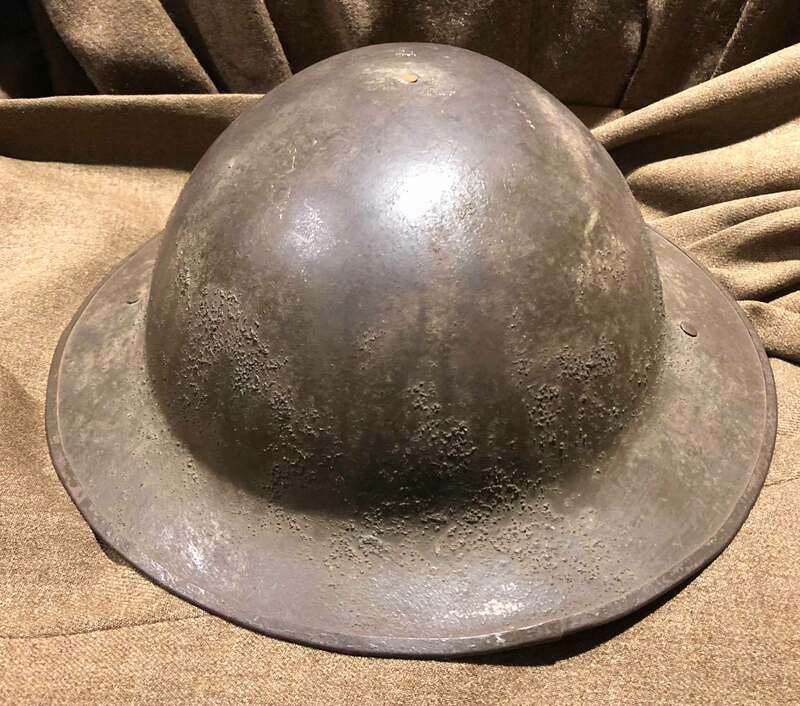 Similar size to WW1 helmet (11 inch “diameter” across longest side), but with 1954-dated WW2 style liner. 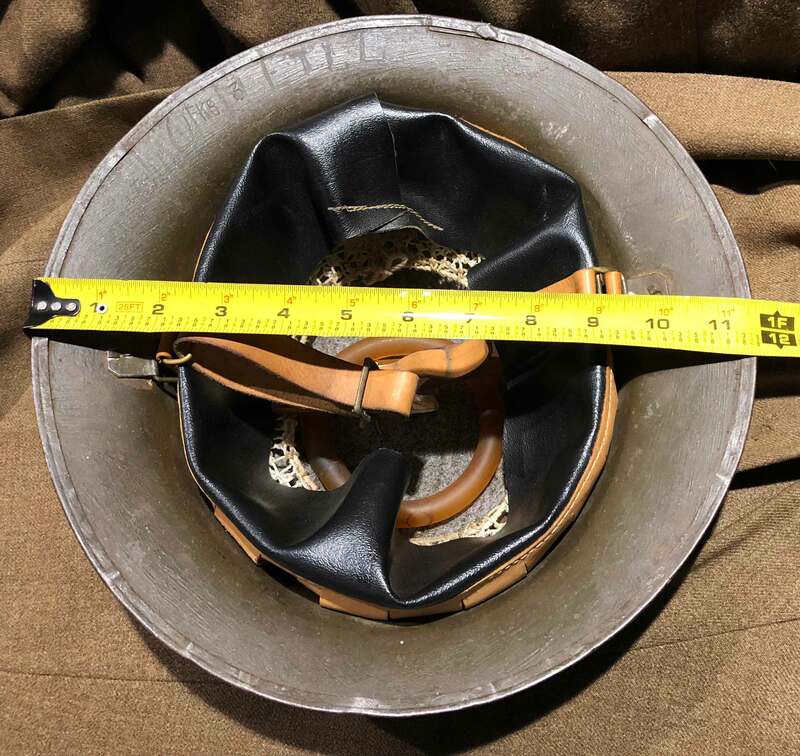 Liner is size 7-1/2. 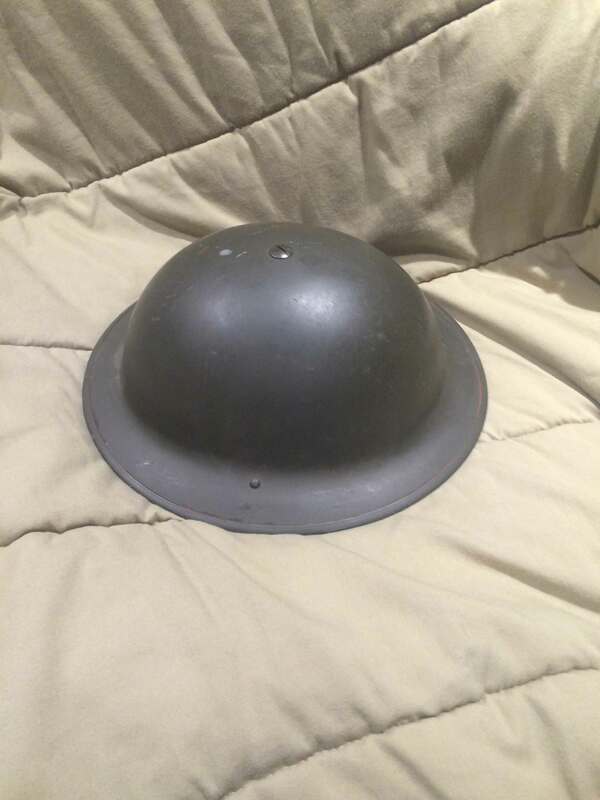 Has post-1943 “chocolate brown” paint and Mk2 chinstrap. 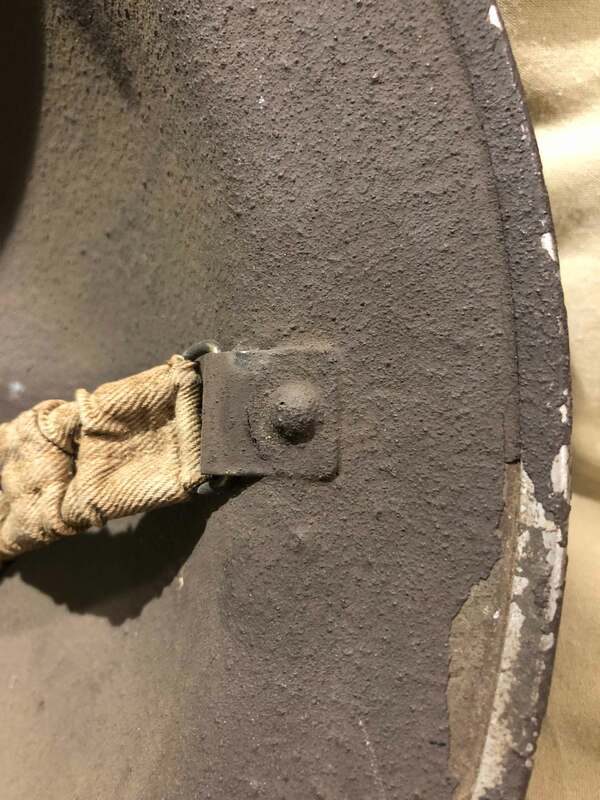 WW2 liners have no asbestos pads. 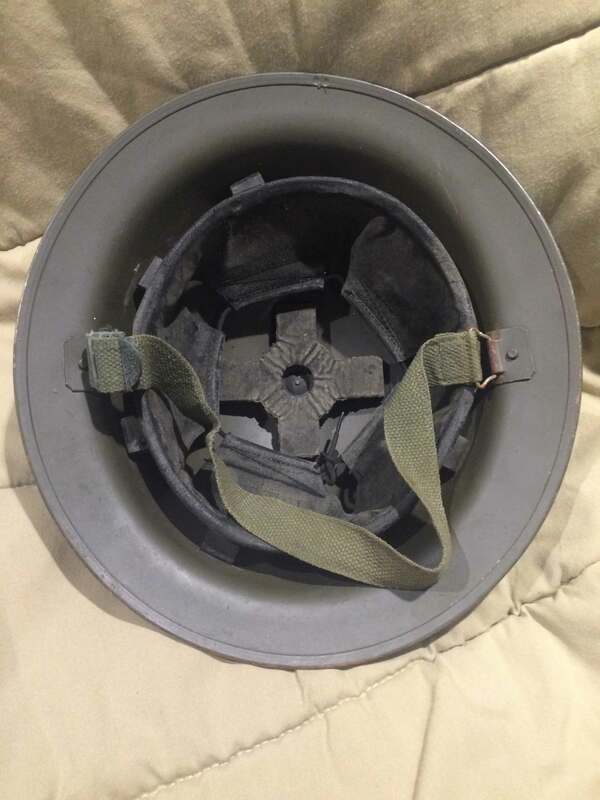 Canadian. 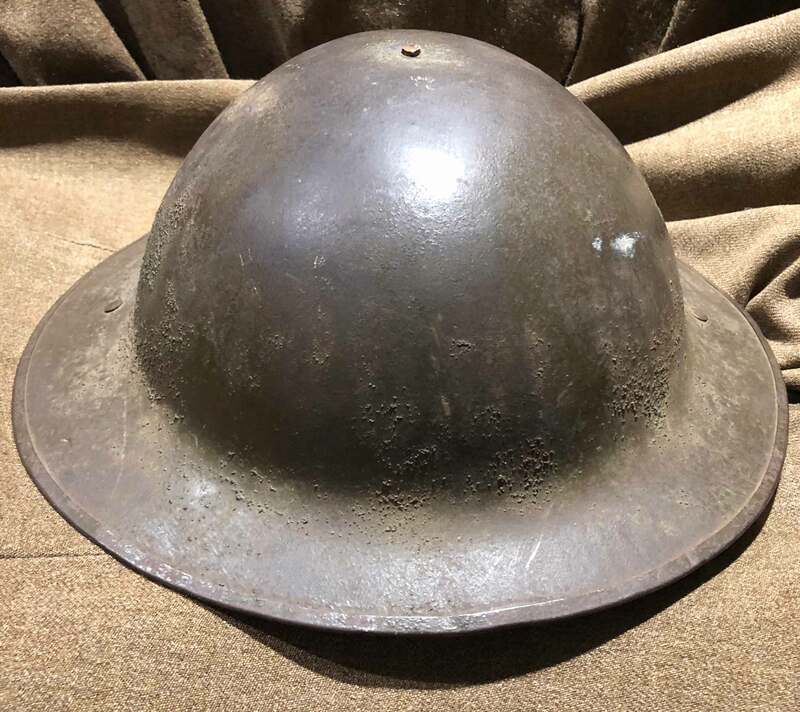 1942 dated shell and has post-war olive drab repaint and post-war chinstrap. 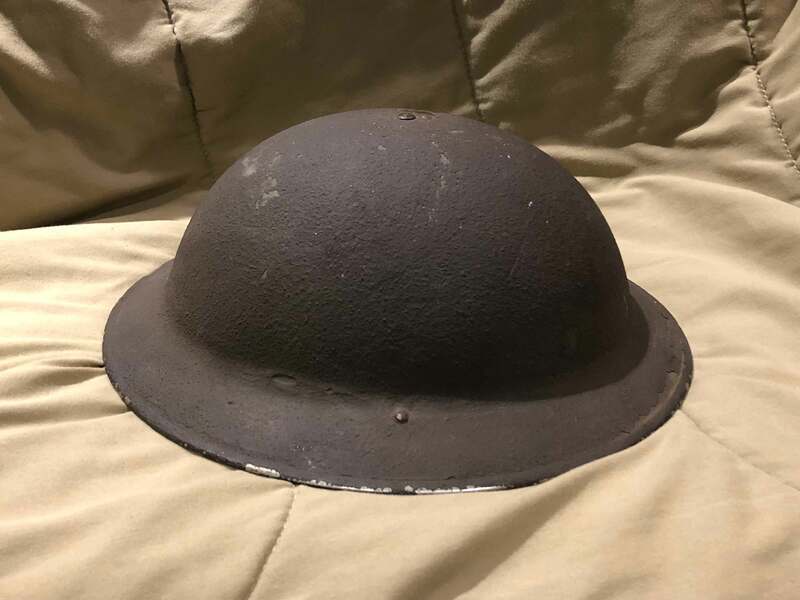 British WW1. 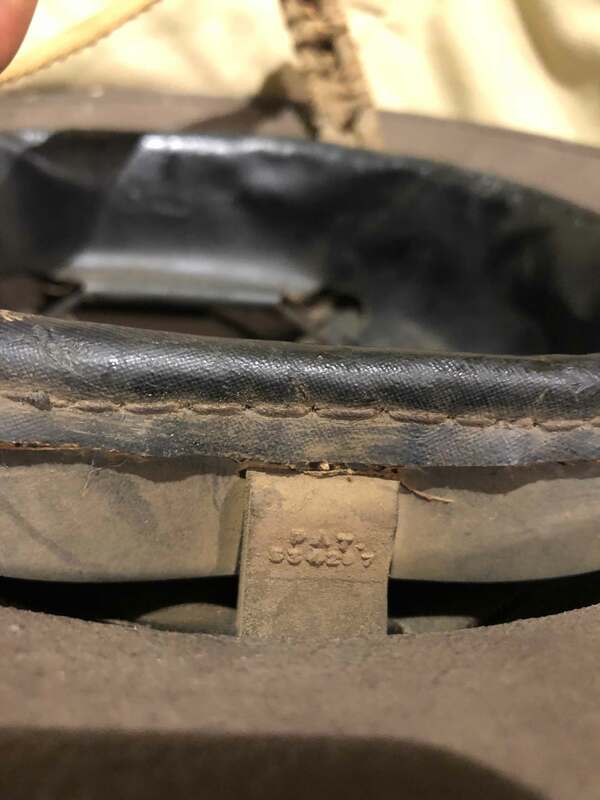 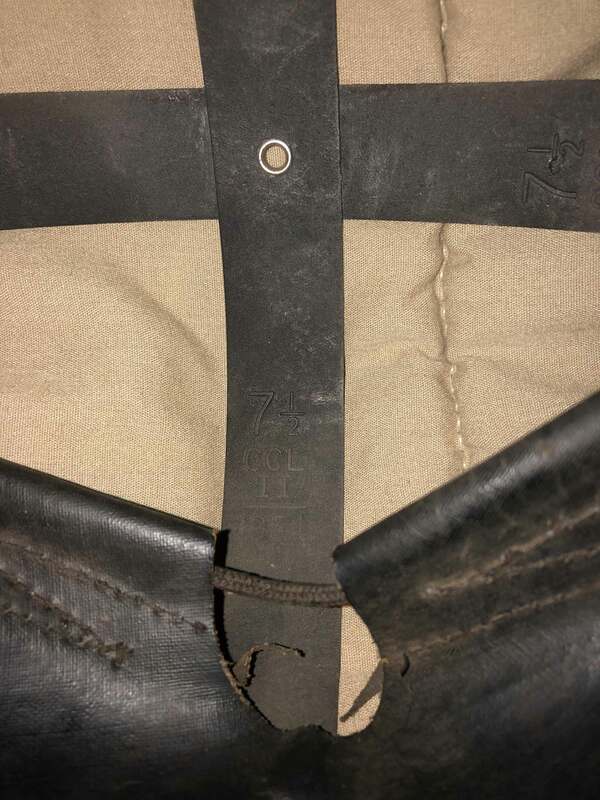 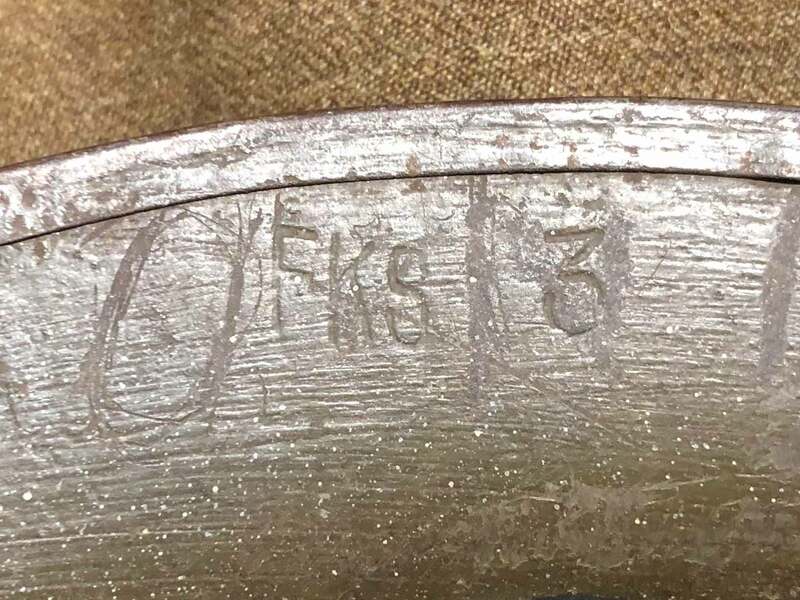 “FKS” marked with asbestos-free reproduction liner from Prairie Flower Leather Co. “FKS” = T.Firth & Sons Ltd of Sheffield (source), which supplied steel for helmets from 1916 – 1918. 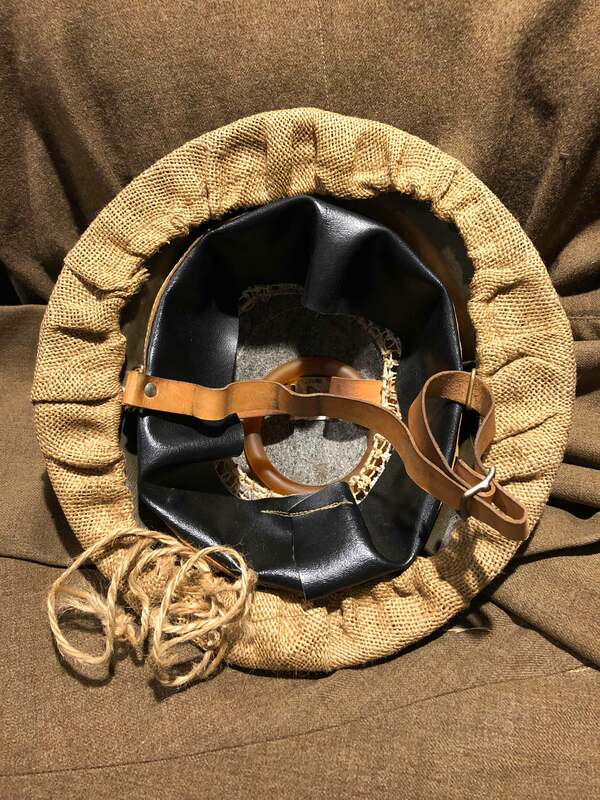 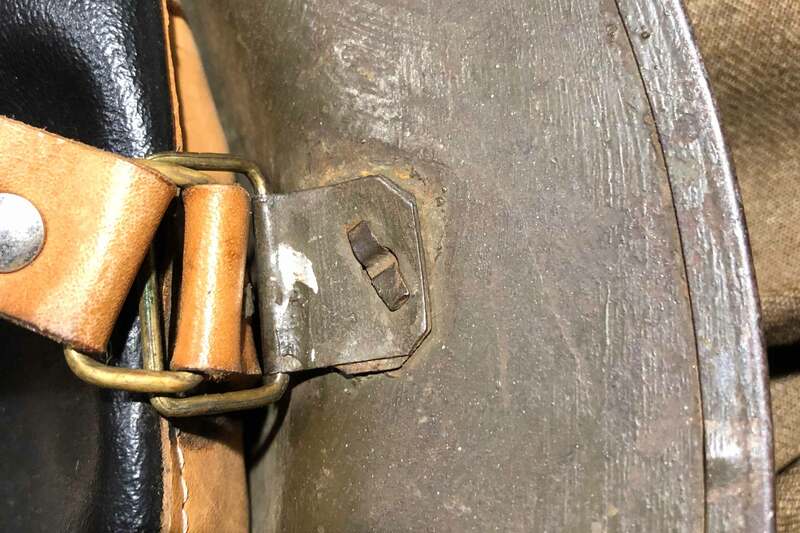 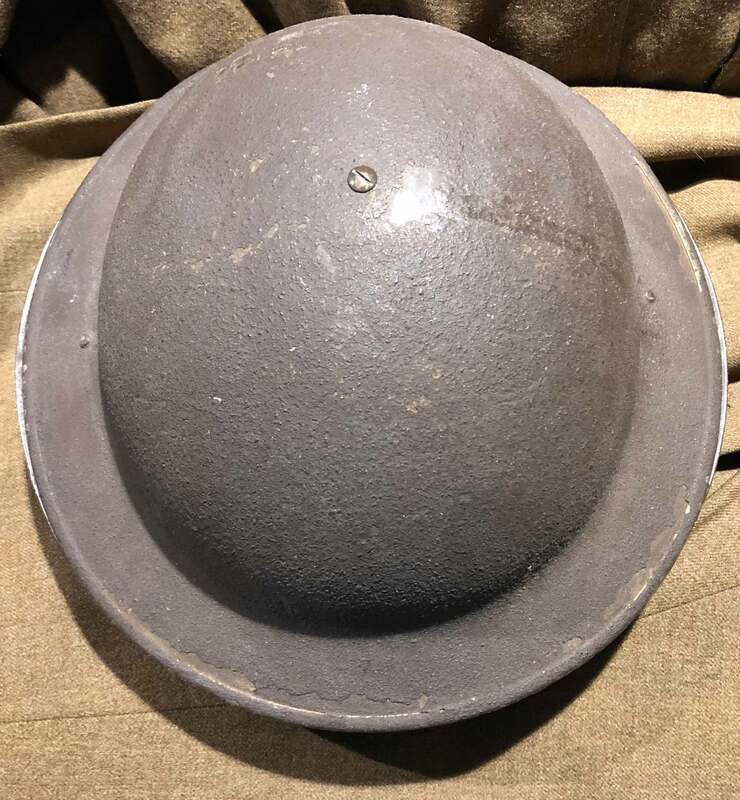 Has split rivets to attach bales, which are a distinct feature of British WW1 helmet shells. 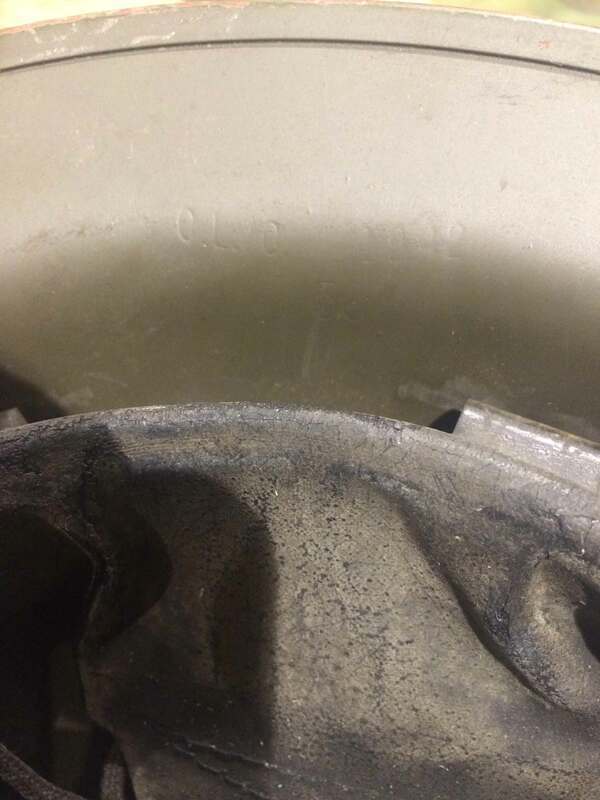 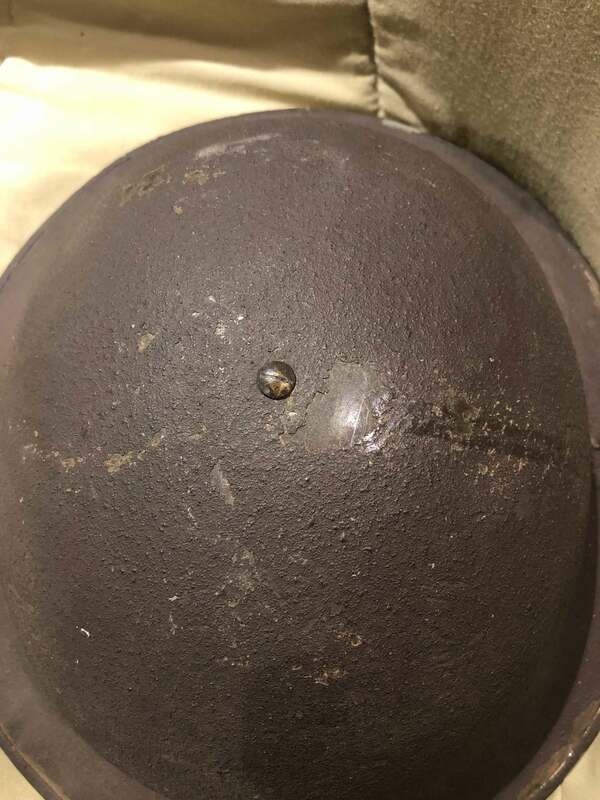 American shells have “solid” rivets (source). 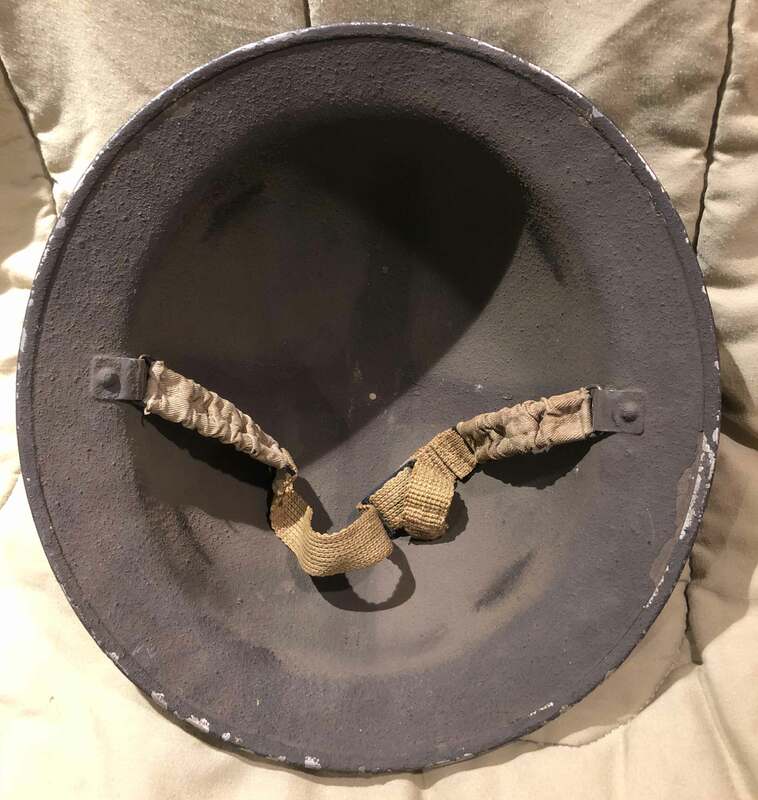 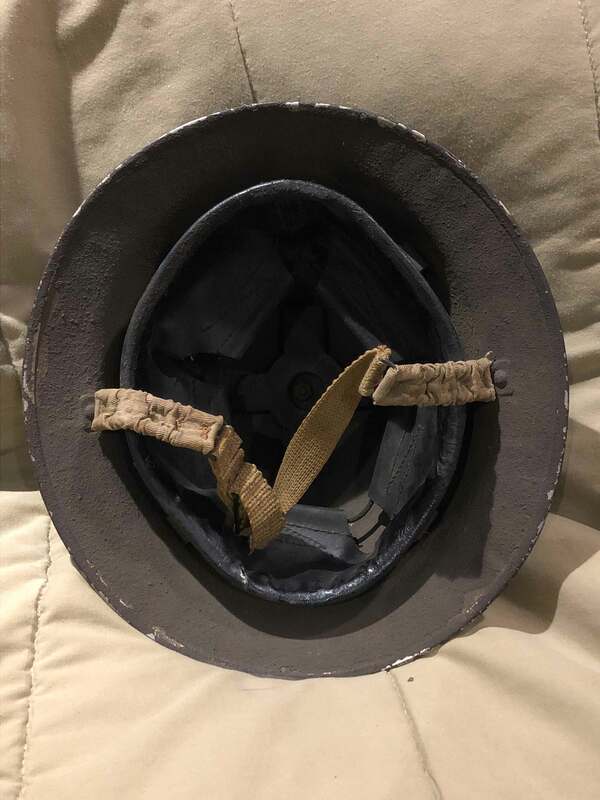 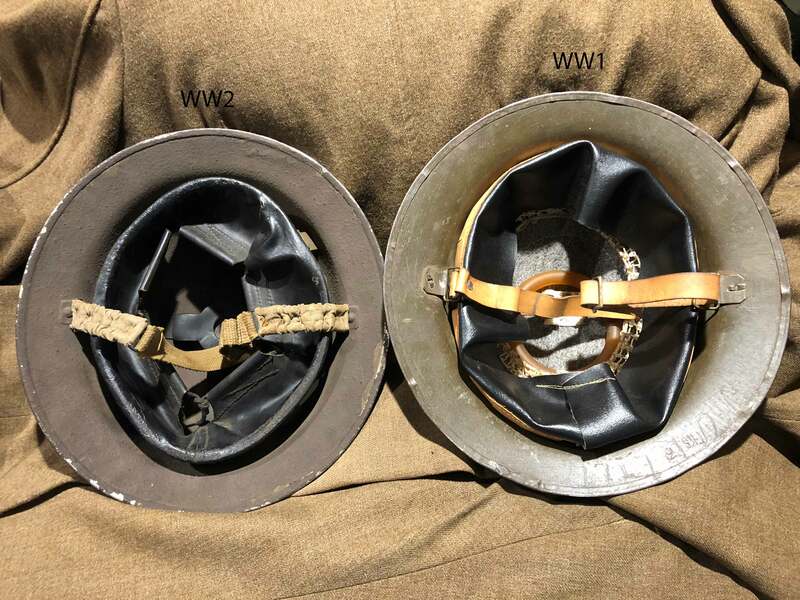 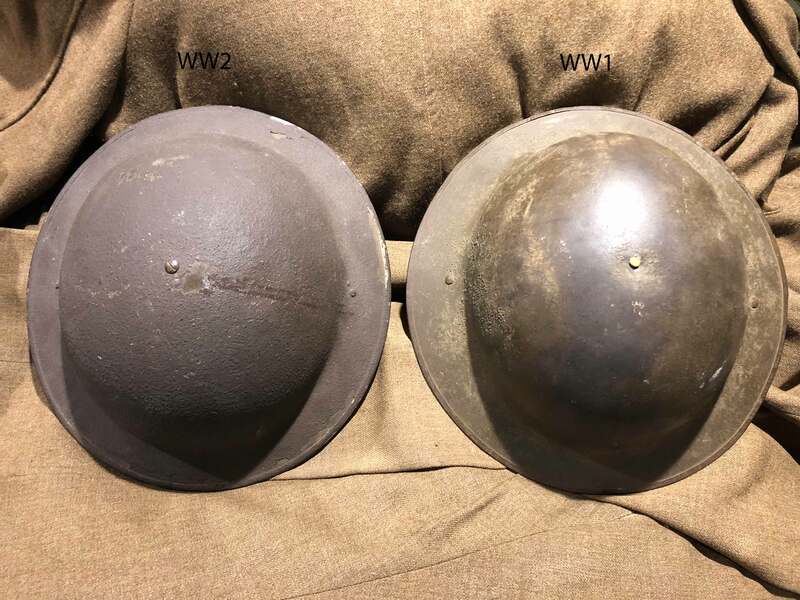 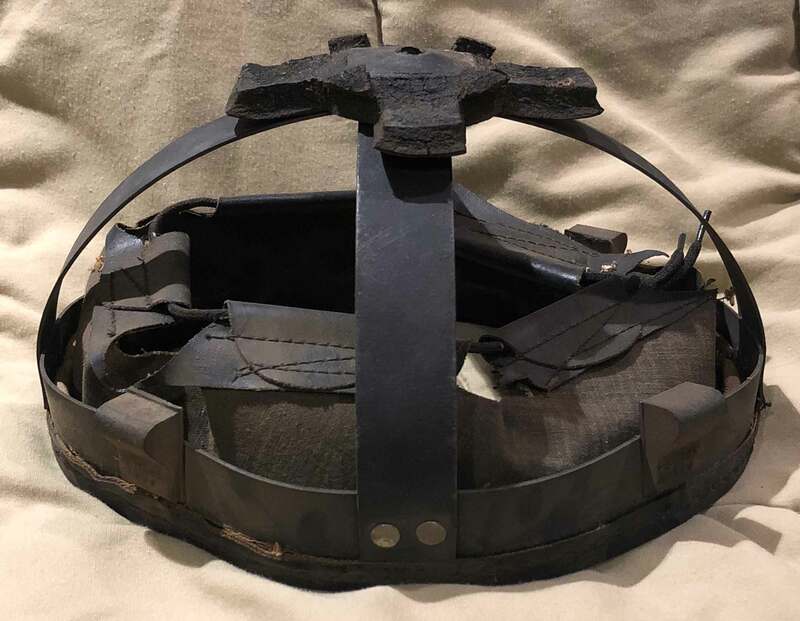 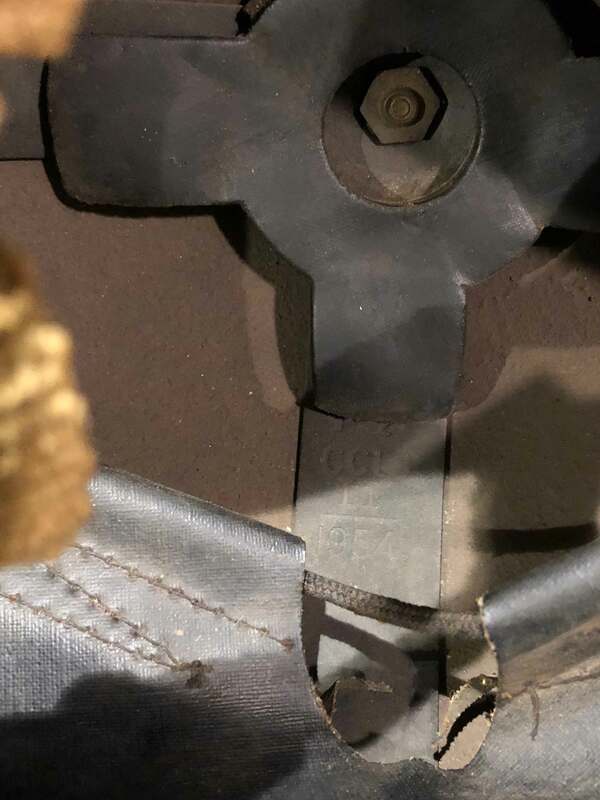 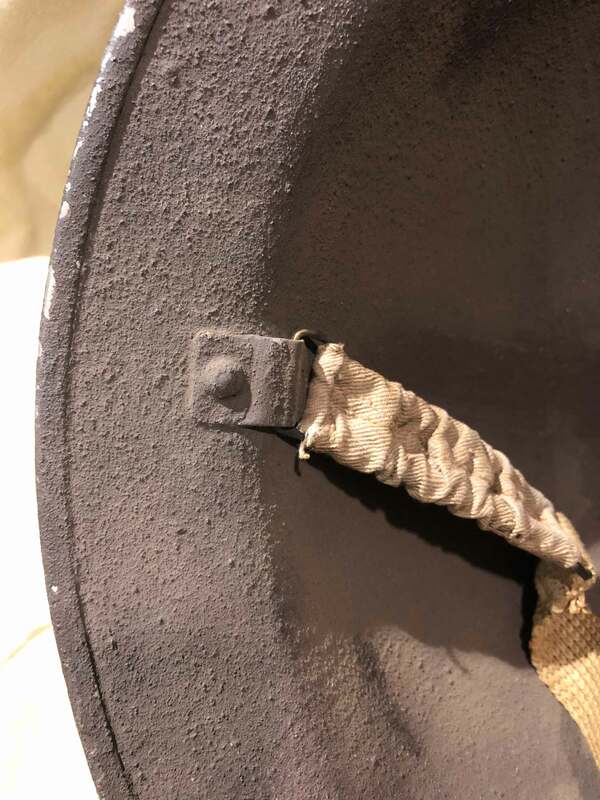 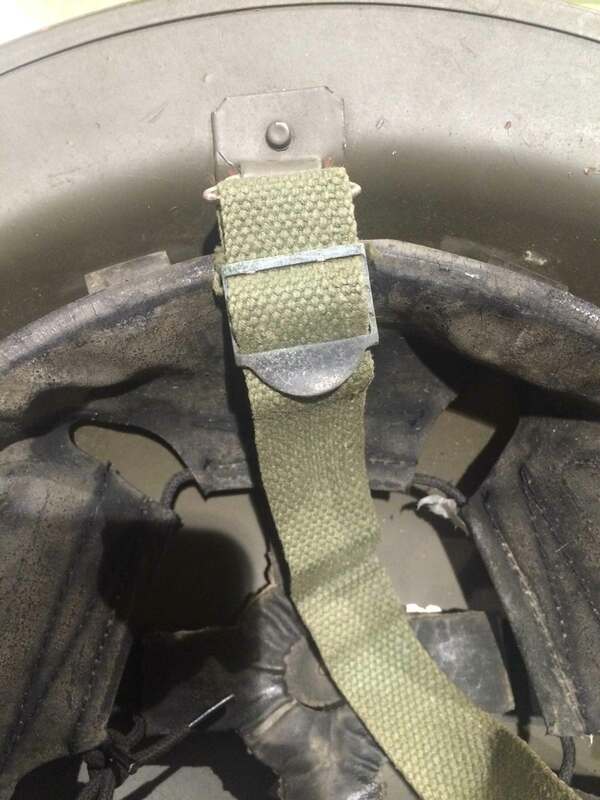 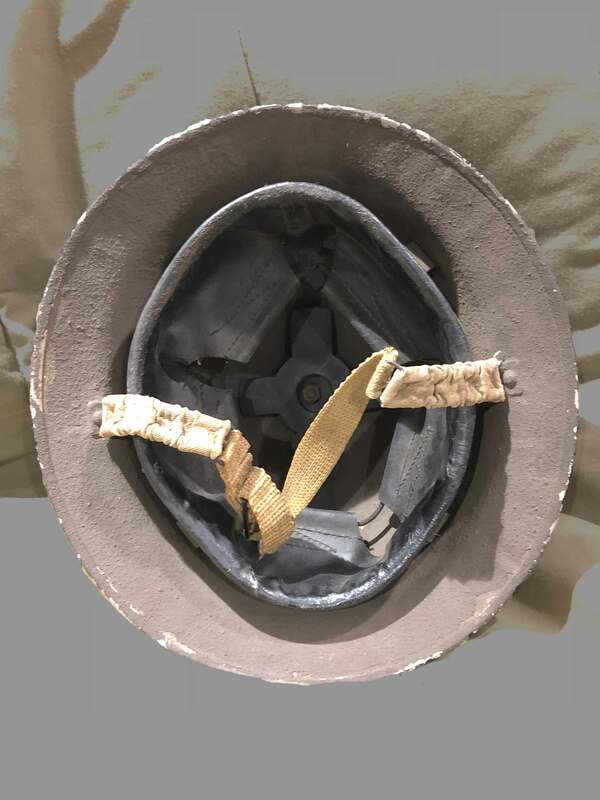 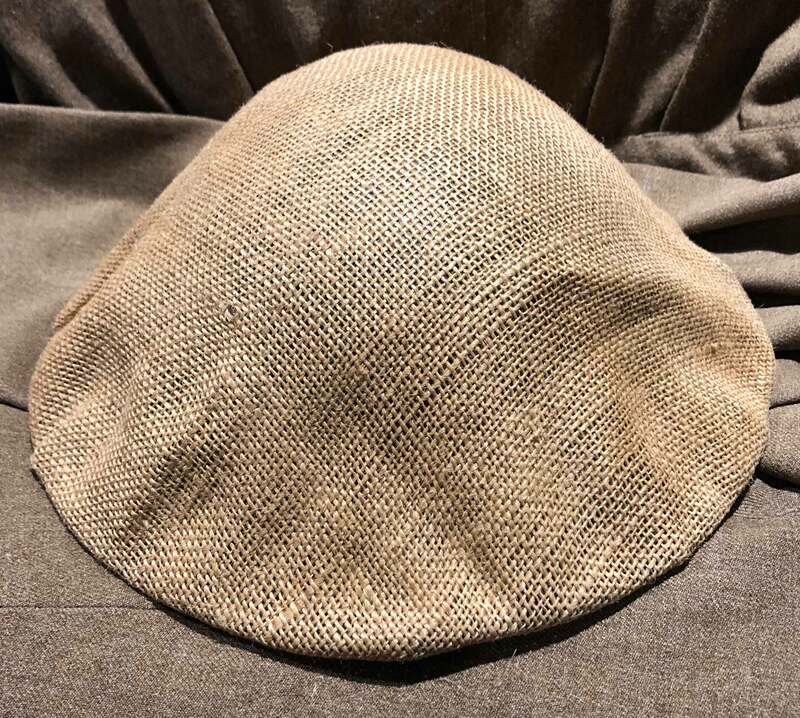 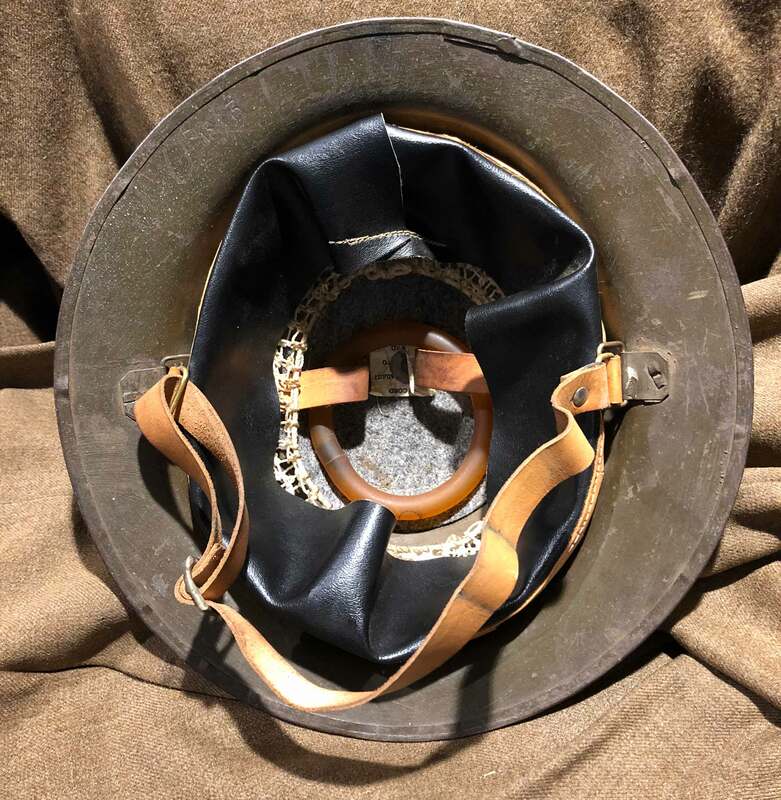 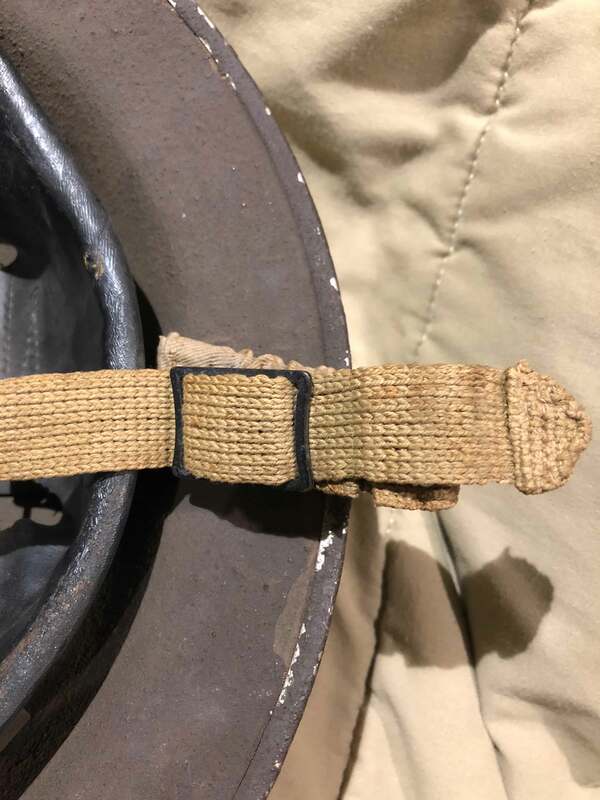 Last image shows the WW2 helmet on top of the WW1 helmet showing the slight difference in footprint between the two (WW1 helmet is slightly wider and shares the same long-axis length as WW2). 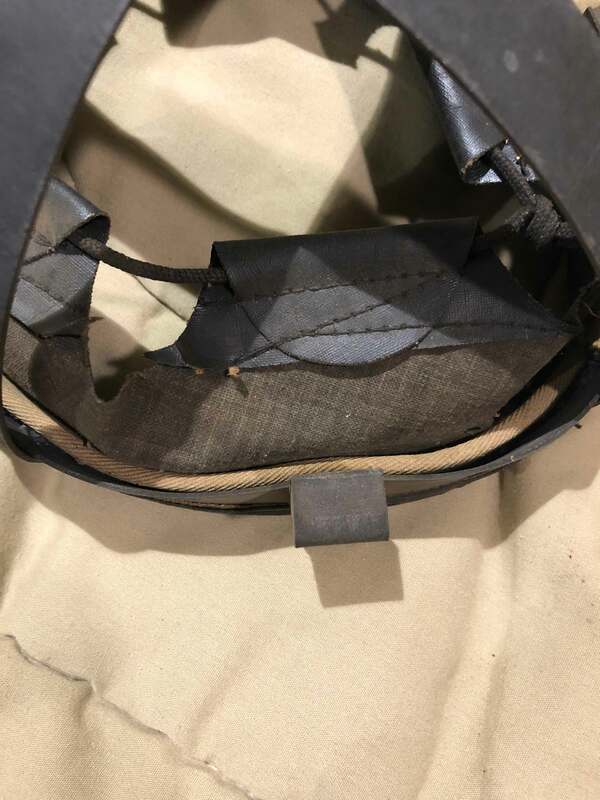 It is probably more reliable to date a helmet based on helmet markings and other features.